Jill and Prentice are getting married in June at the Whitestone. 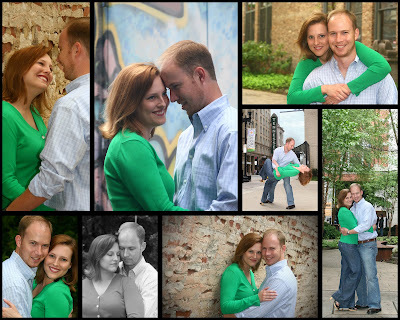 We had a nice time walking around downtown getting thier engagement photos. You would never know she wasn't feeling well with how beautiful they looked. I can't wait for the wedding.